January 2012. Deep, fast and furious. 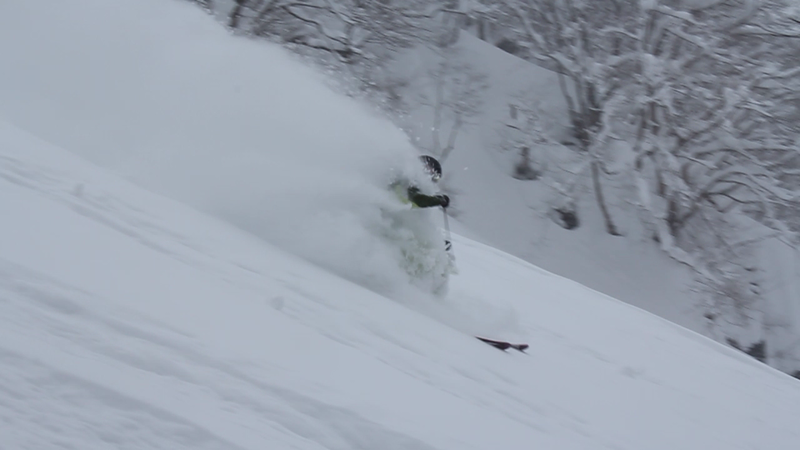 Kari Pakkanen ripping through some Hakuba pow. A trip to Hakuba in the winter can mean different things for different people. A lot of skiers and boarders come here because they have heard of the legendary powder snow conditions though if you have never skied deep snow before it will certainly test your ability. I have met many competent sliders who have come unstuck when the snow gets above knee deep. They will paddle their way back to the groomers to only occasionally drift onto the sides for fear of getting caught in a powder field and have to hike out for 30 minutes. If you have never experienced bottomless powder then the best idea is to arrange a private lesson. The instructors in Hakuba are well versed in the art of powder skiing and riding. It’s one of the reasons they keep coming back. My powder tip is “don’t fall”. This entry was posted in Hakuba, snow and tagged how to ski powder, Japan powder, Japow, powder skiing, skijapan, travel. Bookmark the permalink.